The country is not spread over a vast area, but when you speak of the tourist attractions then this part of the world is no mug in that regard. There are many beautiful locations that you cannot miss. If you are planning a visit to Norway, then you are rest assured that you will be provided with state of the art tourist services along with the amazing locations. There are many reasons that you must visit this part of the world that can indeed to be amazing for you. This is not just it; you can get the amazing car hire services that can really help you out in your journey. Well, this place is referred as the land of the midnight sun for some reason. This area of the world is unique in its regard that you can experience the sun for continuous 24 hours. This spectacle can be seen in the season of summer. The season starts from April and lasts till the mid of August. There are various kinds of activities that you can do in the midnight sun. This is indeed a feature that is worth watching. So, pack your bags and be ready for your trip to Norway. One thing more; you should never forget to go for the sound car hire services that would play a very decisive role in the outcome. Because of its geographic location, Norway is indeed one of the best components of the arctic adventure. You cannot rule out the fun and adventure that you would get as a result visiting these places. White plains located in the north of the country are indeed worth visiting. You would come across the reindeers pulling the sled. This is an activity that is indeed great to experience. The northern aurora is something that you cannot miss out on. Also, the northern lights which are the combination of the several colors are indeed a spectacle that you have to account for. The car hire services can help you a lot if you are to visit every part of this area. 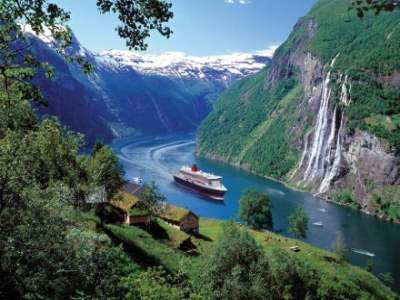 Norway has the credit of having the maximum number of Fjords than any other part of the world. These U-shaped valleys were formed as a result of melting of the glaciers. This activity is reported to have been done after the snow and ice age. You need to ensure that you go for a complete visit to the valley that can provide you with lots of fun. If you are to get a feel of the entire valley then the car hire services would really be ideal for you. There are many people from around the globe that visit Norway just for the sake of skiing. This is because of the fact that this part of the world experiences winter season that lasts for about 6 months. This provides you with a great opportunity for skiing and snowboarding. The tracks may sometime prove to be quite away from the country side, so for that the car hire services can prove to be the ideal choice for you.